I took this photo back in 2014, almost exactly to the date. 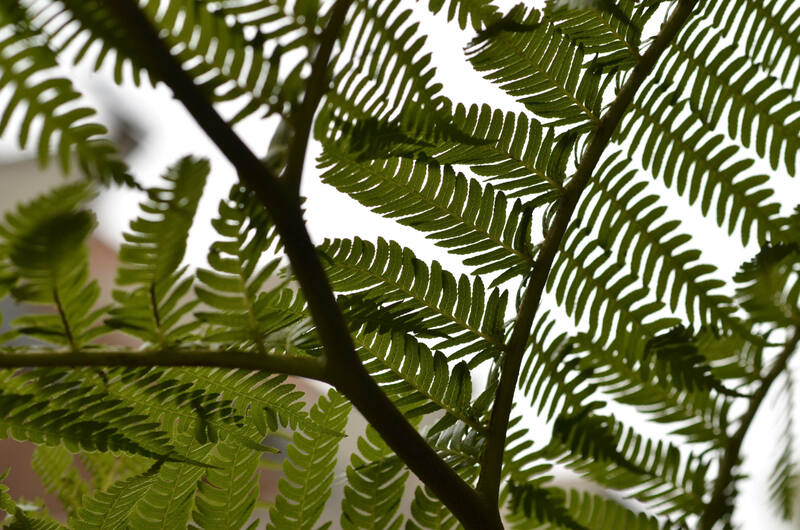 Tree ferns are amazing plants -they have spores and fronds, and get huge. I wonder what it would be like to wander through a forest of these! Anyway, I decided to scroll through my years of photos and found this one. I liked the pattern repeats and the shapes. A nice graphic quality. So, this is what I began in my sketchbook. 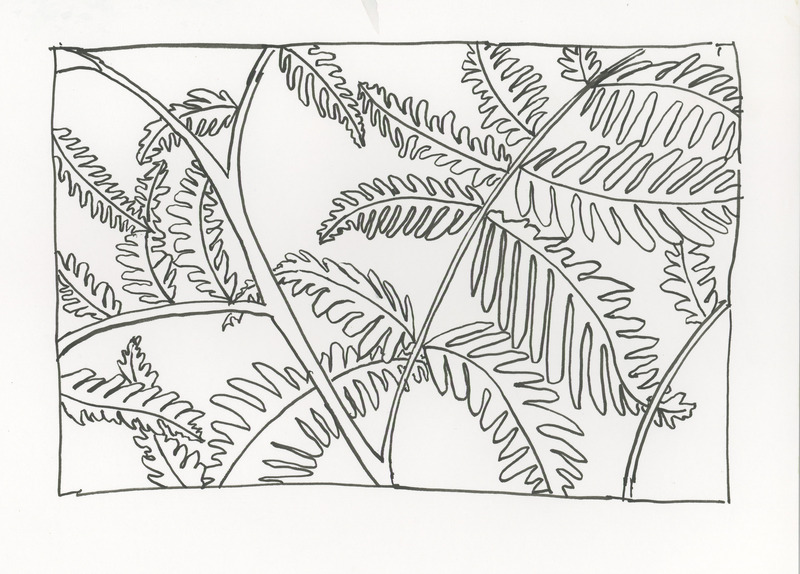 I may add more fronds. I may not. The big question is what I should use to color it. Something that contains itself seems appropriate, like markers, given how sloppy my painting skills are. How about painting the background only? I nay give it a shot!